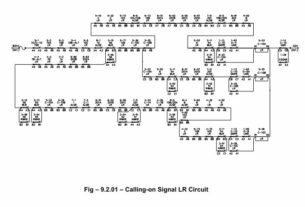 The track is represented in Signalling plans by a single line as shown below. 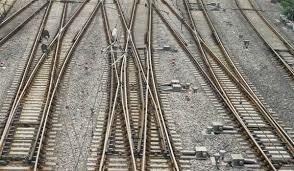 In station yards there will be more than one track for receiving and dispatching trains. The two switch rails of the point are rigidly connected together by a cross bar so that they can be moved from one position to the other position together by the point machine. If the position of the switches is such that the train is moved on to the main line as shown above, then the point is said to be in its normal (N) position. 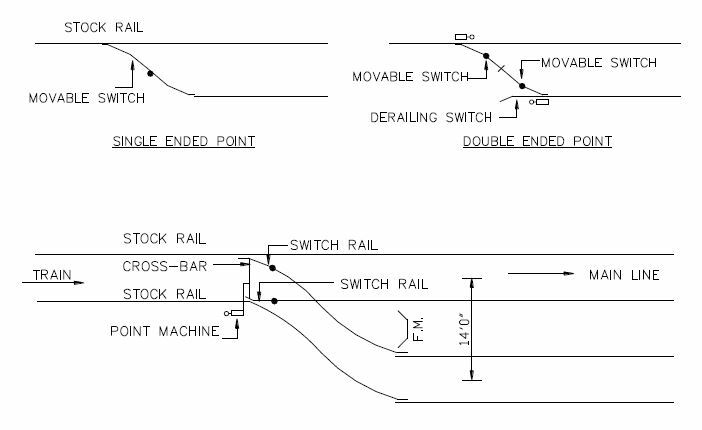 If the switch rails are moved to the other position as shown below so that the train is diverted to the loop line, then the point is said to be in its REVERSE (R) position. 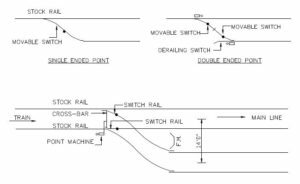 You may see that in both the above cases, when one switch rail is closed with its stock rail, the other switch is open. In either case, the opening shall be 41/2”. Between the closed switch and its stock rail not more than 1/8” gap, is permitted. The centre to centre distance between the adjacent tracks (between main line to the adjacent loop line or between one loop line and other adjacent loop line) shall not be less than 14‟0”. Where cross-over pints are provided between adjacent tracks, this distance gets reduced. At the place where it is less than 14‟, one track may foul the other track. At this point a ‟fouling Bar‟ (a cement lab of about 5‟ length with inscription “FOULING MARK”) is provided. When a train drawn on a track, it should stand clear of the FOULING MARK as otherwise, the train may foul the movement of train on the adjacent track, there by causing a side-collision. Since a train can not be received on the portion of track where another train is standing on same portion of the track, the signal before it is cleared for the movement of a train has to ensure the track clearance. 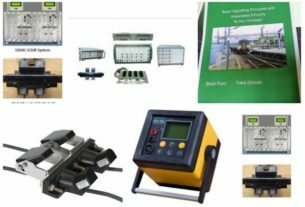 There are equipments used in Railway signaling to achieve the above safety condition.